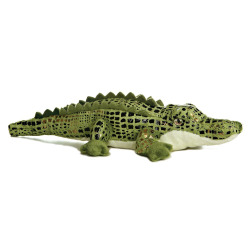 This adorable alligator is bean-filled and has super soft material. Ally has extra large expressive dreamy eyes and is looking for a caring home! Cuddly and cute, she makes a wonderful gift item!